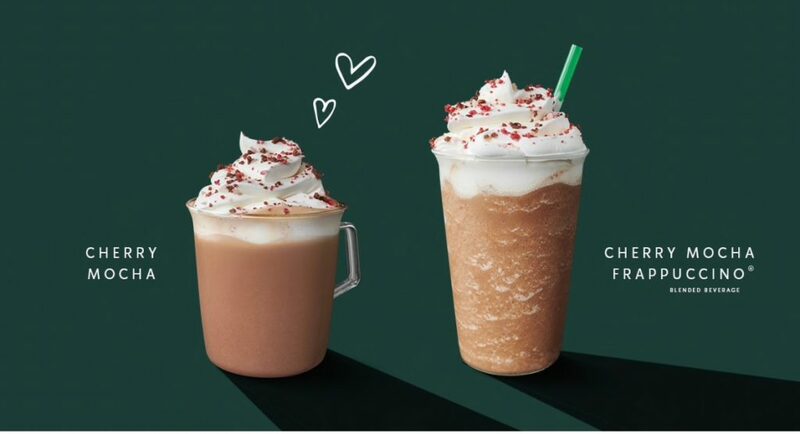 Today is the LAST DAY to grab a Starbucks Valentine’s Day drink, which this year is the Cherry Mocha. “Returning for a second year, Starbucks Cherry Mocha highlights flavors of chocolate and cherry,” according to the press release. “Inspired by chocolate covered cherries, the Cherry Mocha starts with a slightly sweet mocha sauce and candied cherry syrup melted together with hot espresso. We then add the steamed milk of your choice and top with whipped cream and a dusting of sugar and cocoa Valentine’s sprinkles.” While you’re at it, grab a Valentine’s Day cake pop or a heart-shaped sugar cookie! You can share if you wish, but we don’t really recommend it. Treat yourself!